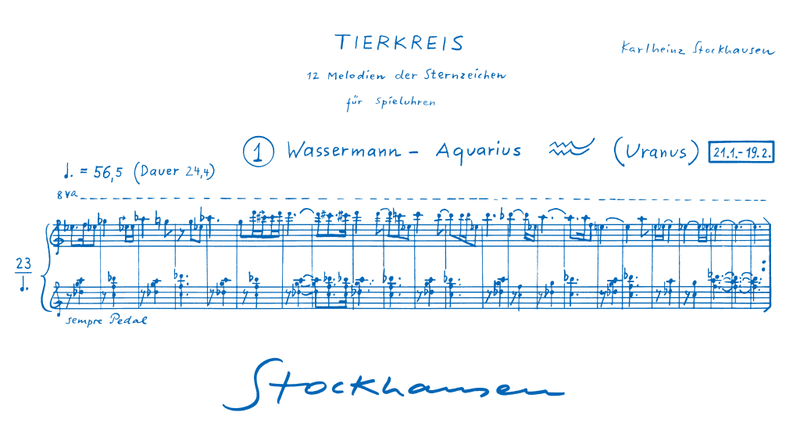 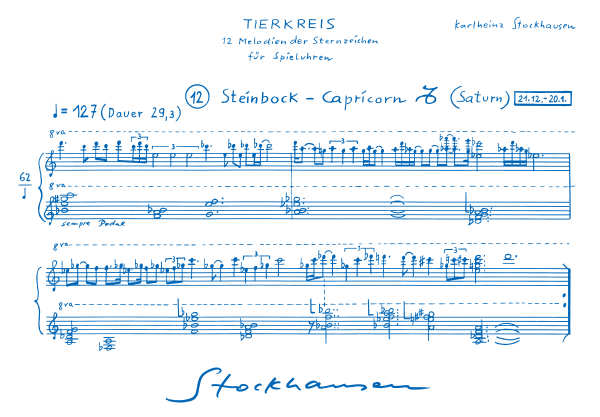 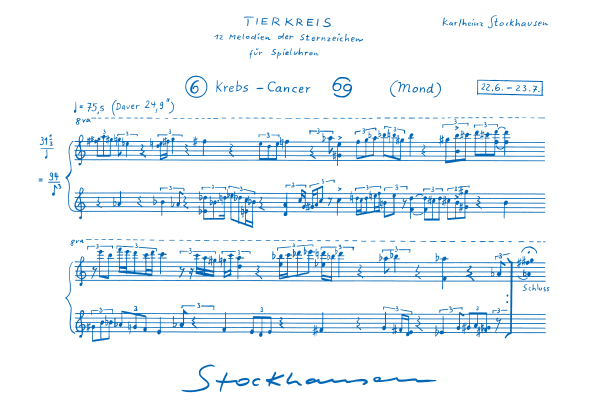 All Stockhausen scores which are published by Universal Edition, Vienna, may also be ordered directly from the Stockhausen-Verlag (prices on request). 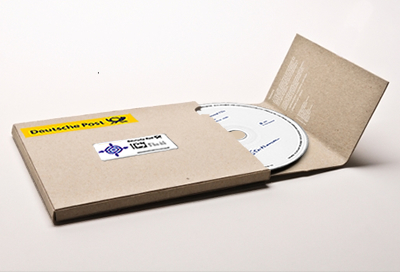 Kettenberg 15, 51515 Kürten, Germany; Fax: +49 (0) 2268-1813. 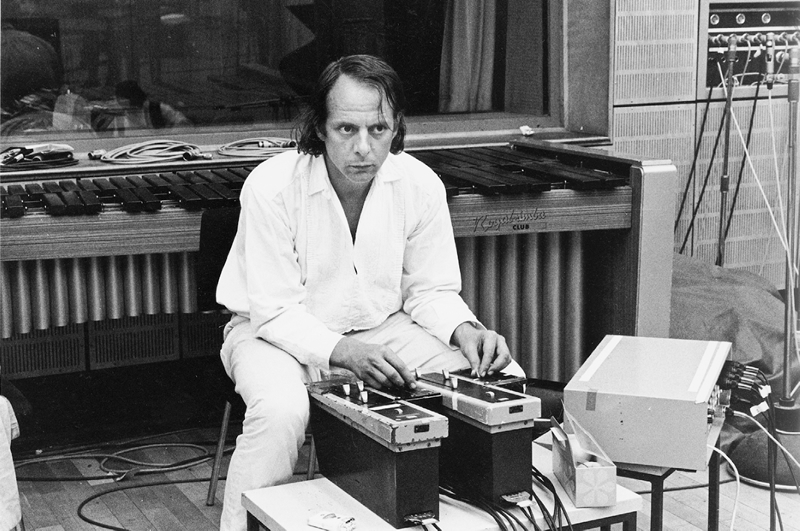 K. Stockhausen: Kompositorische Grundlagen Neuer Musik. 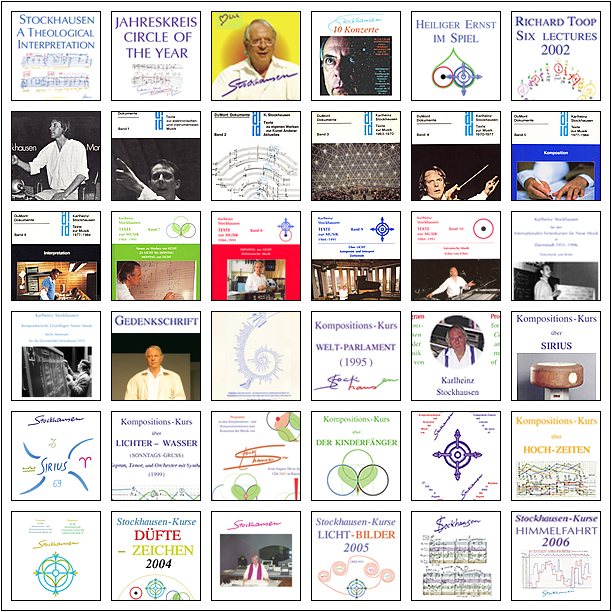 A list of historical posters of concerts is available upon request.